With the current unemployment rate hovering at just under 5%, it’s never been more important to know how to attract—and keep—top talent. 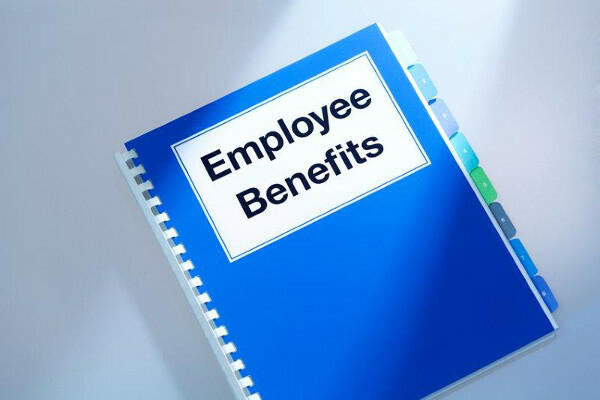 Which brings up a good question: Have you taken a good look at your benefits package lately? Nearly 3 in 5 people say that they scrutinize a company’s perks package when deciding whether to accept a job. Dangling desirable, in-demand extras can give you that all-important edge over the competition. Paid maternity and paternity leave: This benefit is especially attractive to younger employees, who often feel pressed to return to work quickly after welcoming a new child. Even if you can’t afford to foot the bill for an extended leave, offering flexible days and/or hours for several months or the first year will yield some serious goodwill. Workplace wellness programs: Yoga in the conference room? Why not? Exercise classes and employee health fairs show workers you care, for relatively little outlay. Bonus: A health-conscious atmosphere may result in fewer employee illnesses and absences. Telecommuting options: Are there certain positions within your organization that don’t require being onsite at all times? Drawing up a telecommuting schedule that features, say, 1 work-from-home day a week can improve employees’ quality of life. It’s also a tantalizing benefit to dangle in front of a candidate who’s on the fence. Mobile workstations: When the weather is nice, employees don’t always want to be chained to their desks. If yours is an office environment, consider providing a set number of laptops and allowing staffers to work on a patio or another outdoor spot when they desire. Concierge service: Everyone’s looking to save time these days. Having someone on-site who can help employees by dropping off their cars for repairs or even planning their family parties makes workers’ lives much easier. Even if you can’t afford a full-time employee assistant, there are ways to bring some similar perks to the workplace. Consider arranging for pick-up and drop-off of staffers’ dry cleaning, for instance, or giving workers an opportunity to order precooked dinners from a meal service to take home. Discounts on popular goods: Work with area businesses to offer discounts on gym memberships, dining, haircuts, and other services. Retailers may jump at the chance to increase their customer base, and it won’t cost your company a dime. Retirement and financial education: Currently, 40% of all workers say that their employer offers them no retirement and financial guidance. That’s a shame, since employees with no workplace retirement advice report higher levels of anxiety surrounding the topic. Offer some retirement-planning seminars (perhaps the company that administers your 401 (k) can help) and not only will you benefit, so will your staff. Studies show that on average, employees with access to retirement education at work contribute a little more than 10% of their income toward retirement, versus just 4% for those with no access. Ready for some even flashier perks? When Careerbuilder.com asked workers what single upgrade would make their job more satisfying, many of the ideas on their wish list were benefits that cost relatively little. They included on-site massages, a no-judgments nap room, a snack cart, and the ability to wear jeans. Ask your staffers what they want, and see where you can compromise. Meeting them partway can go a long way toward a happier, more productive, and more stable workplace.